Dinner with brother. 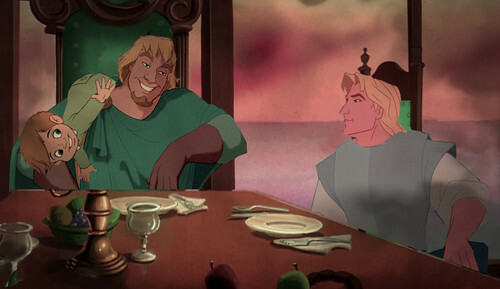 Jonh is dinner in his brother (Phoebus) and his son (Danny). And don't ask who is he's mother, no clue about it :D. HD Wallpaper and background images in the disney crossover club tagged: disney crossover phoebus danny john smith the hunchback of notre dame return the neverland pocahontas dinner.